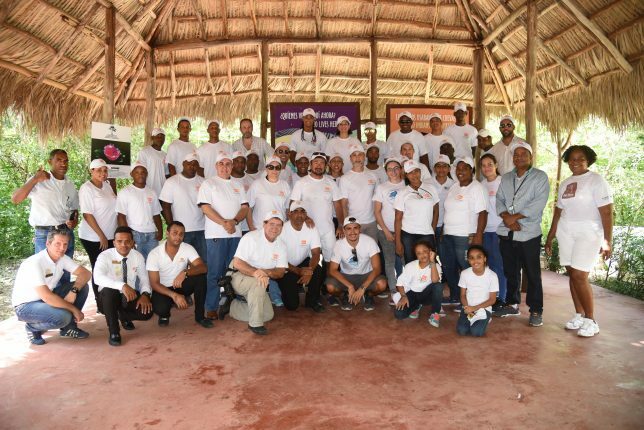 On the occasion of its 30th anniversary, Viva Wyndham Resorts carried out a reforestation journey with the planting of 10,950 plants of various species at the Cotubanama National Park, within the perimeter of Padre Nuestro and the ecological corridors of the Romana-Bayahibe tourist destination. Planted tree species include Pricklybush, “Guausi”, Mauritius hemp, Cabbage Rose, Amaranth, Wedding Tree, Houseleek, Yellow Mombin, Sugar Apple, Spanish Lime, White Twinevine, Morning Glory and other plant life. 8,950 specimens were planted in the ecological corridors, starting at the Coral – La Romana – Casa de Campo crossing up to the Chavon River dam. An additional 2,000 plants were scattered in Padre Nuestro. 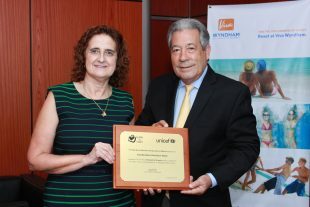 The planting took place in the month of May with the participation of Viva Wyndham Dominicus Beach and Viva Wyndham Dominicus Palace guests, employees and their family members. The event was supported by the La Romana – Bayahibe Hotel Association, Ministry of the Environment of the Dominican Republic and the National Botanic Garden, who donated the plants along with the Ministry of Tourism of the Dominican Republic (known in Spanish as MITUR), Tourism Security Police (known in spanish as CESTUR) and the Municipal District of Bayahibe. 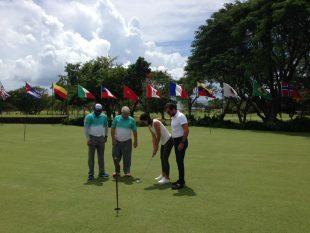 Ettore Colussi, President of Viva Wyndham Resorts, said this activity is part of a program of activities to commemorate the hotel chain’s 30 year anniversary, which take place during the 2017 International Year for Sustainable Tourism Development, which, in addition to environmental initiatives will include food and local crafts festivals and a host of promotions and special offers at their properties throughout the year. “The 10,950 trees are equivalent to the daily harvest of 365 units during the 30 years Viva Wyndham Resorts have been in operation”, he concluded.